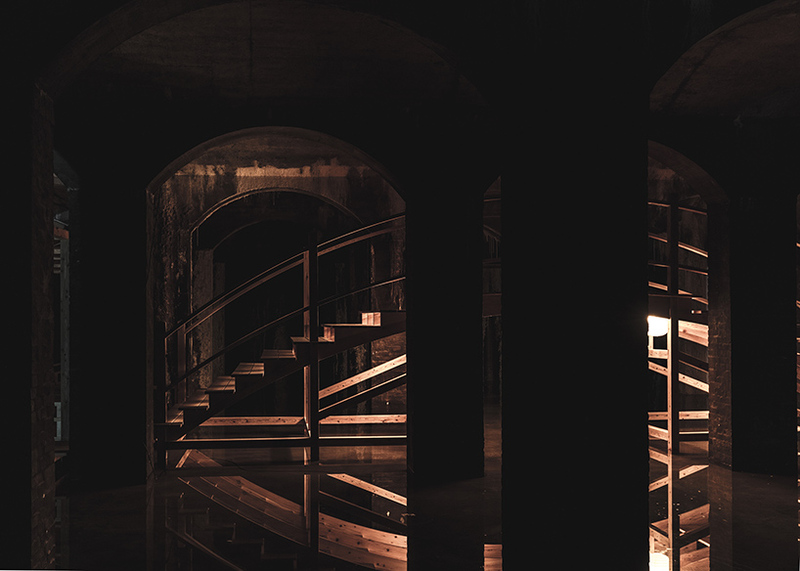 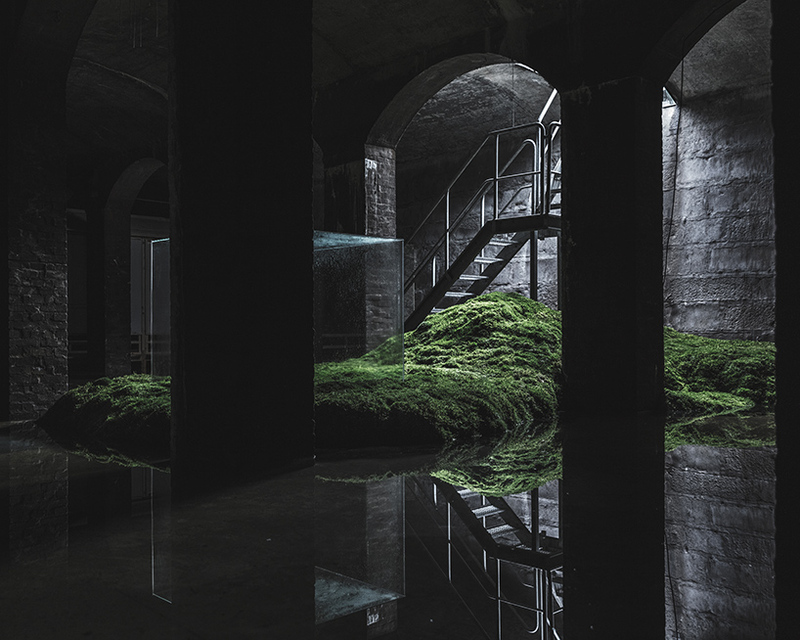 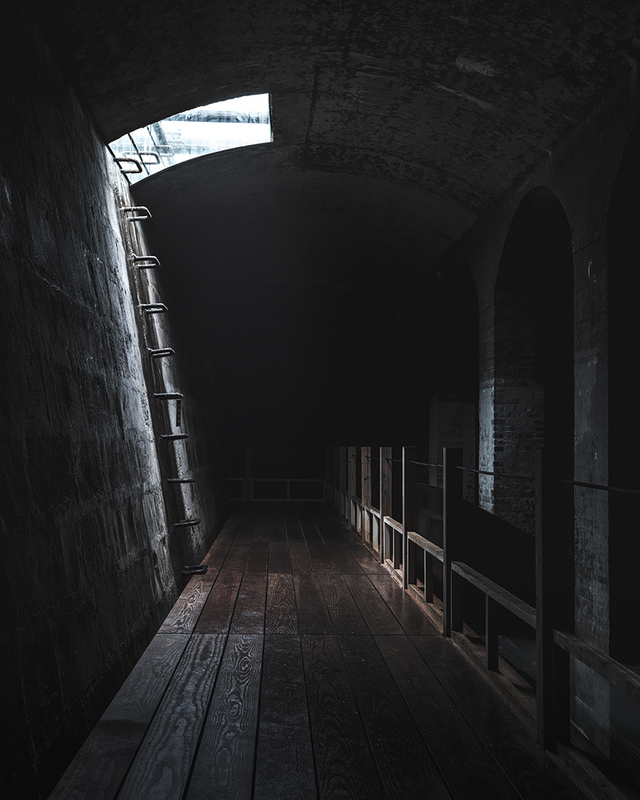 japanese architect hiroshi sambuichi has staged an ambitious installation within a former underground water reservoir in copenhagen. 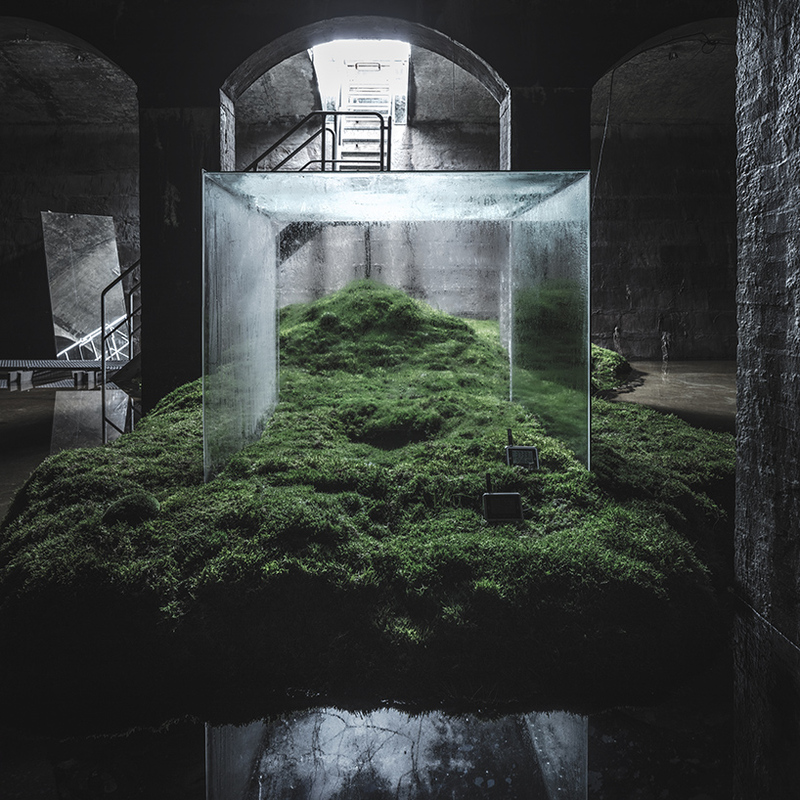 the monumental halls of the space, known as cisternerne or the cisterns, have been transformed into a subterranean landscape, which forms sambuichi’s first major exhibition outside of japan. 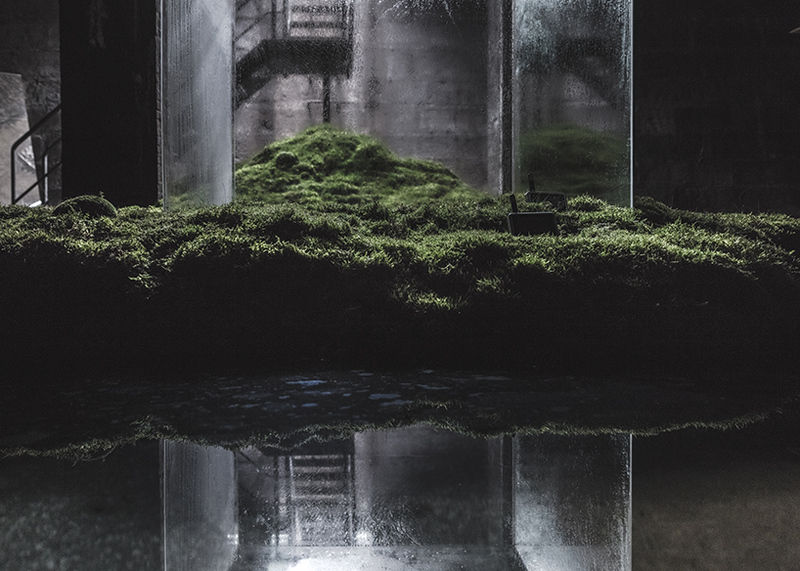 conceived as ‘a journey through an underground sea of light and darkness’, the installation has been documented in detail by danish photographer rasmus hjortshøj. 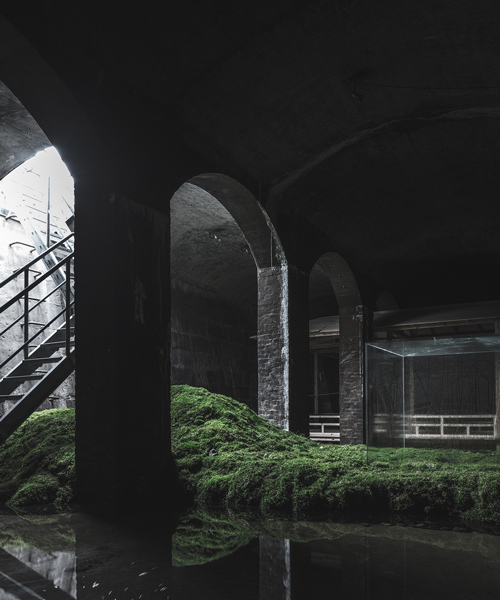 in accordance with his architectural practice, which is driven by the forces of nature, hiroshi sambuichi began the assignment by carrying out a study of the surrounding area. 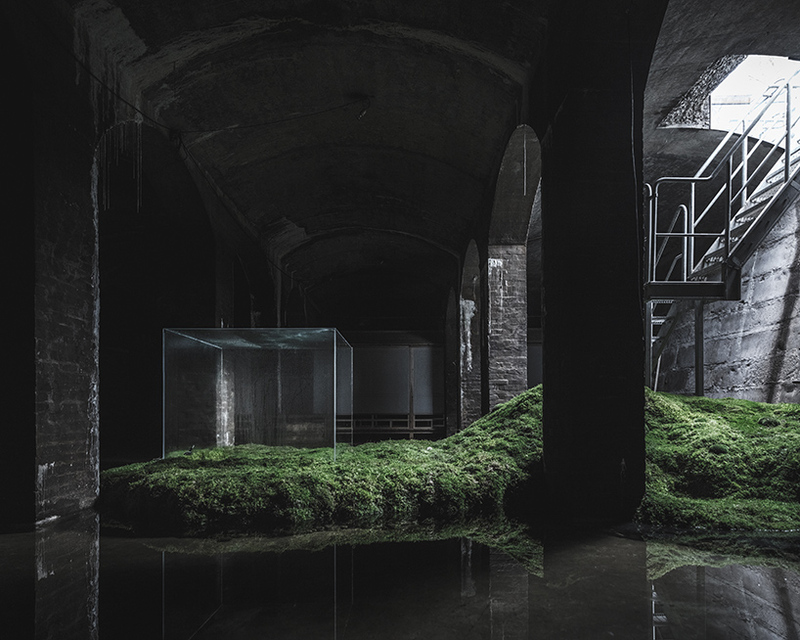 the installation is titled ‘the water’, a name that references the return of natural elements to the site. 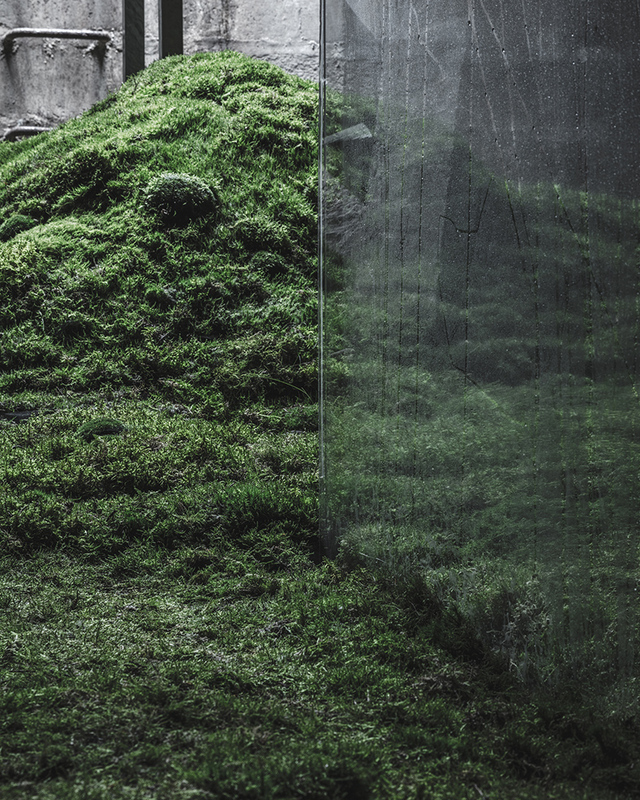 designed to form an extension of the neighboring søndermarken park, the cisternerne has been entirely transformed with vegetation and natural light. 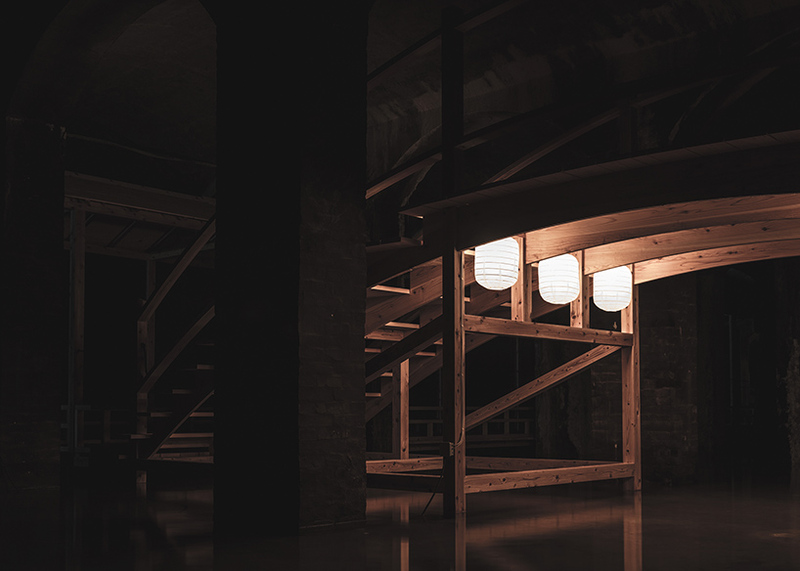 sambuichi has also built a version of the itsukushima shrine sited on the island of miyajima — a replica used here to traverse the underground body of water. 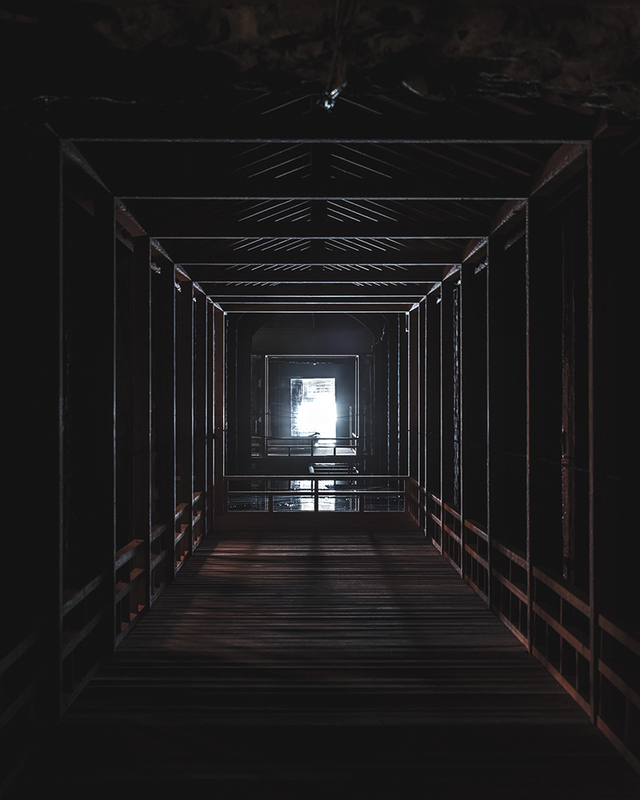 the opening hours of the exhibition vary depending on the length of day, a practice that relates to sambuichi’s own working habits. 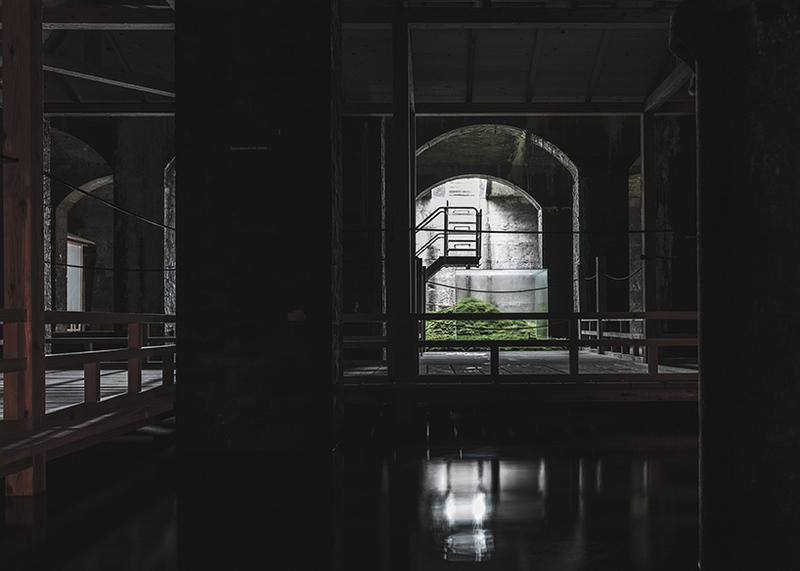 during winter, the installation closes as the sun sets at 3pm, while during summer months the cisterns stay open until 8pm. 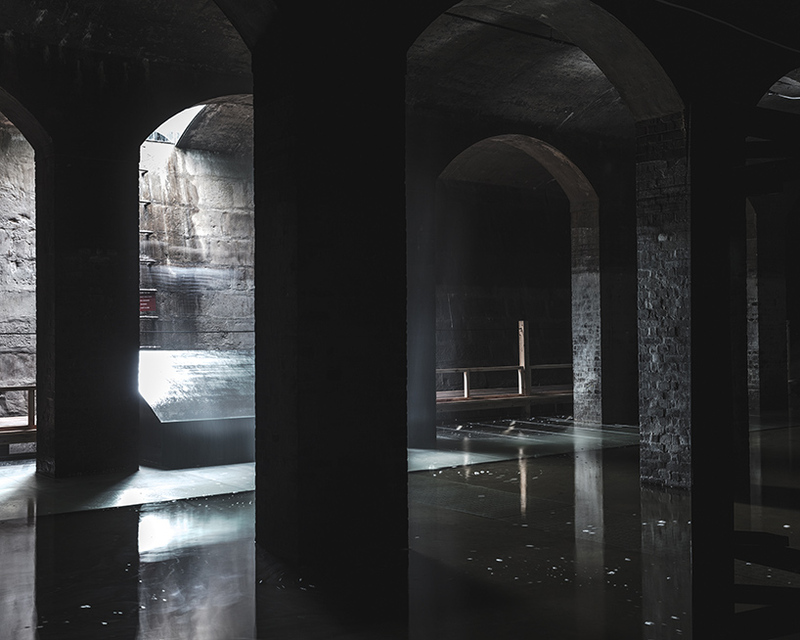 ‘the water’ remains on view in copenhagen until february 2, 2018.